Whether you are flying across the suburbs of London, heading to Battersea Heliport or approaching the south coast from the English Channel, the experience at night always has a touch of magic to it. As we move into the darker months Atlas Helicopters will be conducting more VIP charters that begin in the daylight and end after sunset. As you can see in the photograph the moon was up when we put this aircraft in the hangar. Night flying isn’t a problem for Atlas’ fleet as they are all twin-engine helicopters and aside from the speed, luxury and longer distances they can manage, these helicopters are permitted to fly at night. This has proved very convenient for clients flying to major events such as the UEFA Champions League final in Cardiff, or home after awards ceremonies in London. It also means that special days out such as our Connoisseur Tour of Hampshire can run during the winter. There are a couple of exceptions to night flying that should be noted. One stipulation is that the site has to meet our night landing criteria and the lighting is up to aviation standards. Also, Atlas Helicopters only land at sites at which we have landed in daylight, or where a site recce has been performed to ensure the designated area is suitable. If a site doesn’t have enough lighting available, we can provide a portable set. 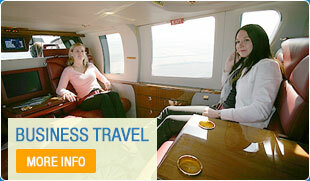 This allows us to continue offering clients the ability to arrive and depart close to their desired location. If you want to set up a permanent lighting system at your business or home this can easily be arranged and the Atlas Team will be happy to provide expert advice. Another item to be aware of is that some venues such as hotels have a curfew on arrivals but this complication is always handled very well by our Operations Team who will plan your itinerary to match such requirements. As you’d expect all of the above comes under the daily scope of our friendly Operations Team. With over 15 years experience of arranging helicopter charters to a multitude of destinations, they have every option and request covered. So whether you are flying home from a West End show, landing in Paris or travelling to a shooting lodge, all you have to do is tell them the locations, the dates and the times and they do the rest.